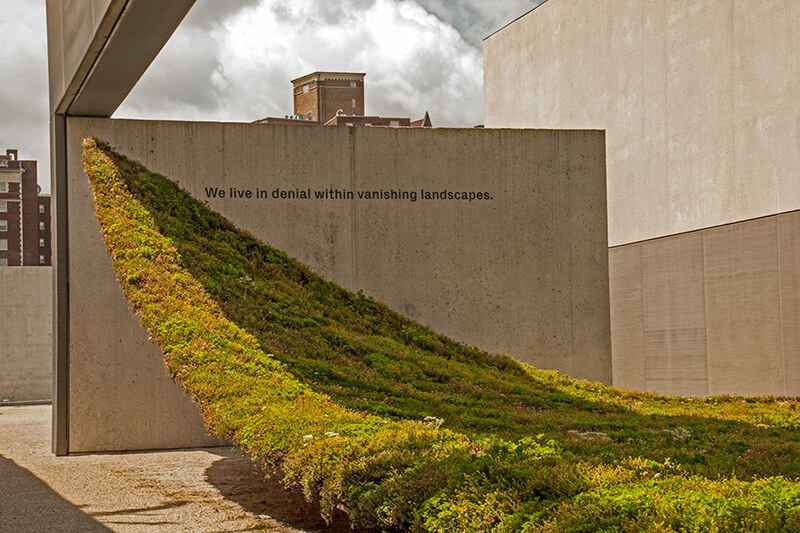 On view from spring to fall 2015 at the Contemporary Art Museum of Saint Louis, Green Varnish was a site-specific installation that explored the necessity of hiding inconvenient realities with politically correct beauty: We live in denial within vanishing landscapes. 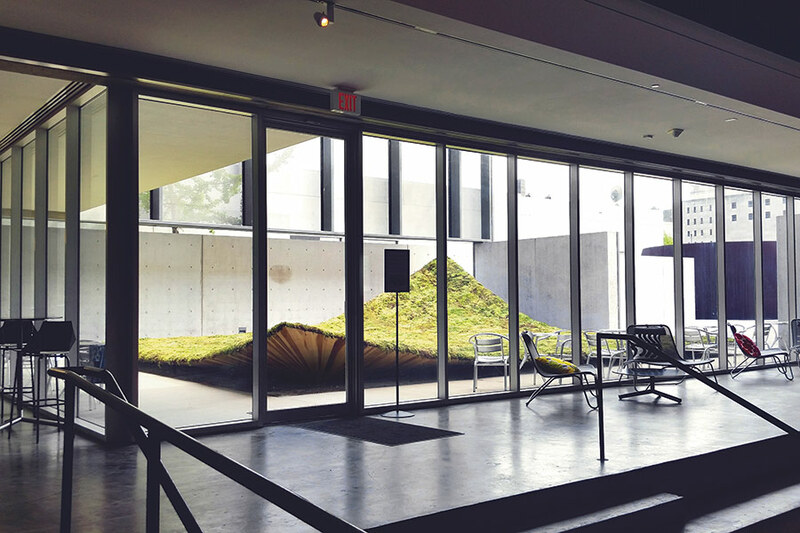 A vibrant green “fabric,” composed of 16 varieties of nearly 6,000 individual specimens of sedum, elegantly floated over the floor of the museum’s court. 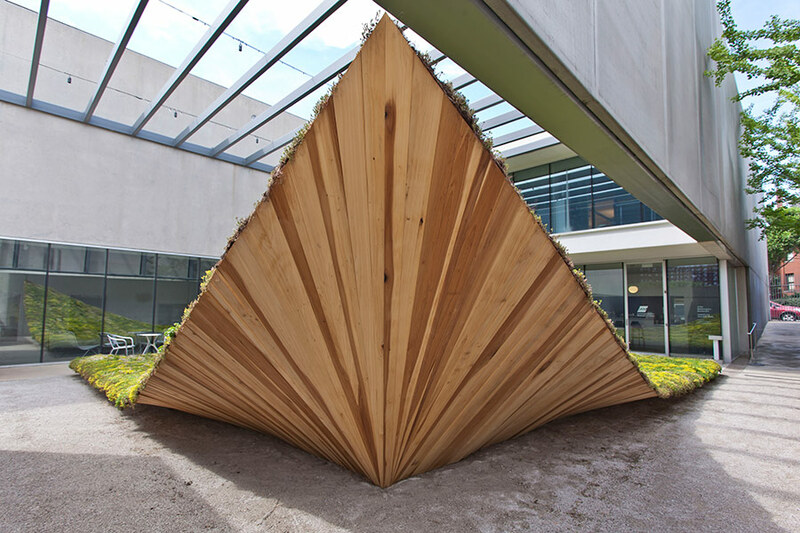 The hovering botanical blanket lifted at two of its corners to reveal a fan of tawny poplar boards. 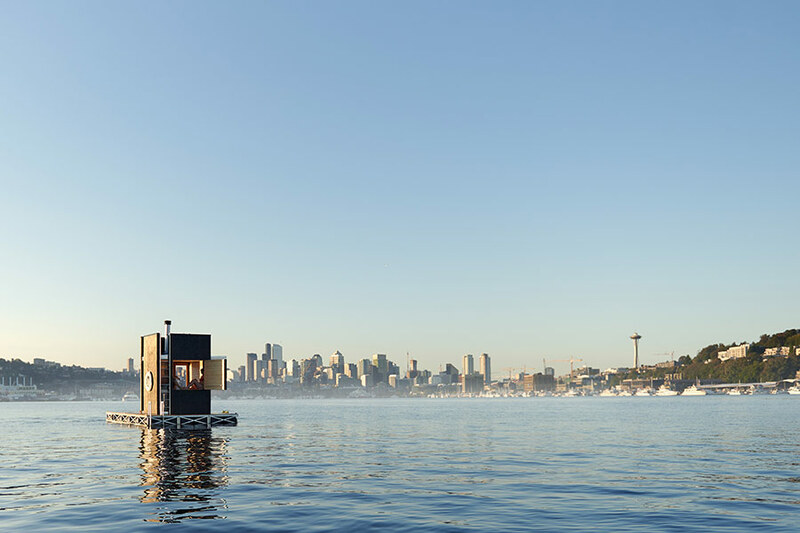 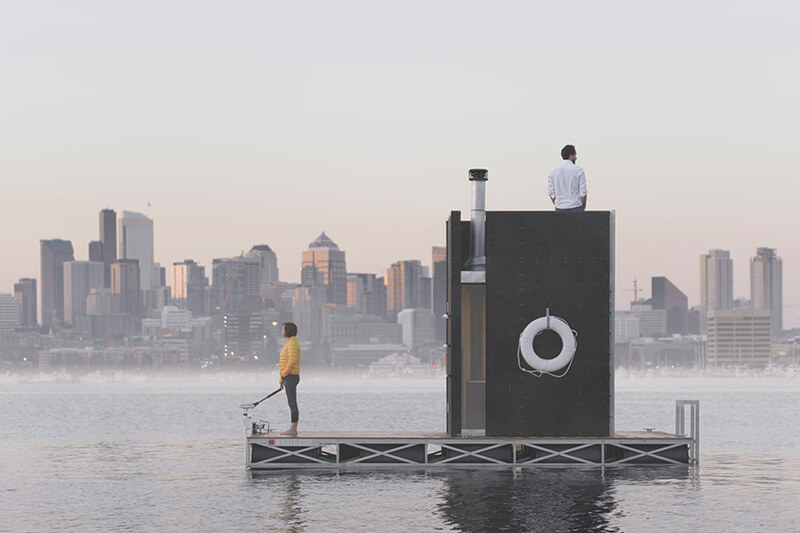 The result was a dramatic living sculpture that was both monumental and weightless.